The Edison lights are a tipoff, glowing amber above the L-shaped, dark-wood bar. Also the foie gras sausage on the menu, and the snacks for nibbling: fried chickpeas, jerky popcorn. And no, that is not jerky as in beef. Its ridiculous pretensions notwithstanding, the place is a kind of refuge for Porto (Julia Sirna-Frest), who would really like to be leading a healthier life in a slimmer body: less indulgence, more moderation. I am a Brooklyn-dwelling, 30-something white woman sitting in a hip Brooklyn coffee shop to write about a play about a Brooklyn-dwelling, 30-something white woman that takes place in a hip Brooklyn bar. It gets worse. I just ate avocado toast. 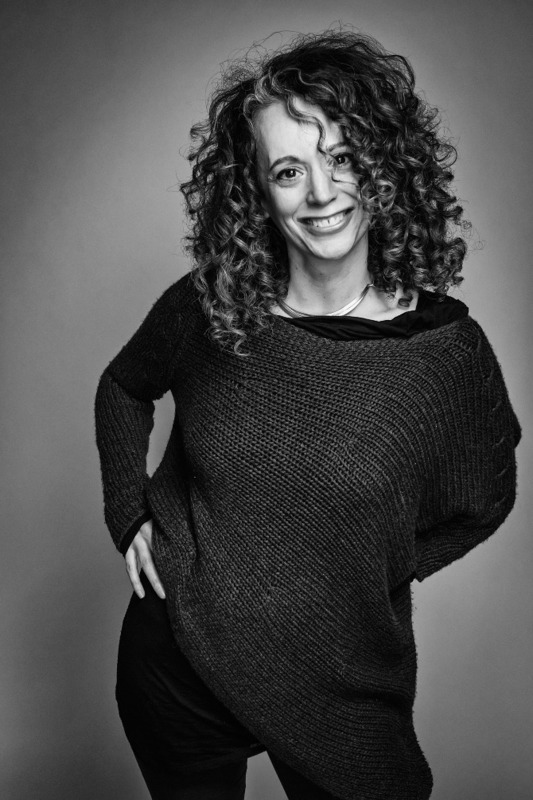 Artistic director Lisa McNulty has refocused the mission of New York City’s WP Theater. Lisa McNulty still owns a hoodie that was given to her by WP Theater’s founder Julia Miles in 1999, emblazoned with “21 Years of Making Work by Women!” At the time, McNulty was the institution’s literary manager, her first paying job in the theatre. 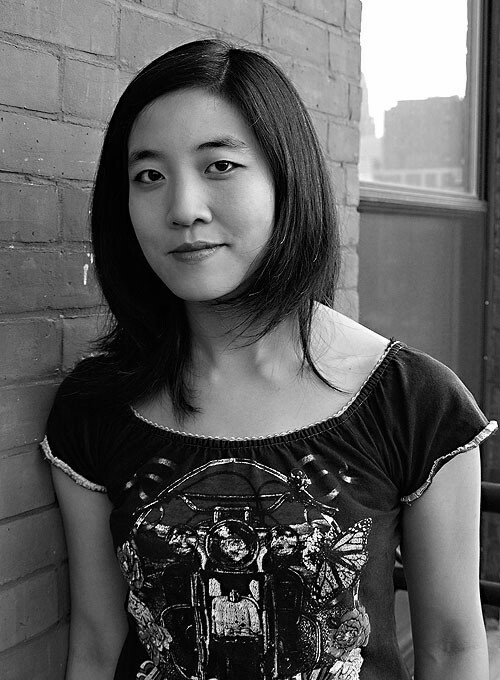 After running the literary department, she left, only to return a few years later as the company’s associate artistic director. After leaving once more to work as a producer on and Off-Broadway, in 2014 McNulty was back again—this time as artistic director. Though the organization has undergone a recent name change—from Women’s Project Theater to simply WP—its mission has remained constant: develop, produce, and promote the work of women artists (and now female-identifying and trans artists) at every stage in their careers. McNulty says the name change was not so much a rebranding as a way to indicate a new phase for the institution. She realized that theatregoers had preconceived notions about what type of work a “women’s theatre” might produce—something she is determined to dismantle through more eclectic and diverse programming. A look at WP’s 2018 season, with its mix of dance, new work, revivals, and both early-career and established artists, is a shining example. In addition to the annual Pipeline Festival, WP presents PORTO from Obie-winning playwright Kate Benson and directed by Susan Stroman Directing Award winner Lee Sunday Evans—both women on the rise. McNulty says that the most important thing she does at WP, however, is the Lab, the theatre’s two-year residency for early-career playwrights, directors, and producers. In an attempt to combat the idea there aren’t enough women theatremakers, the initiative culminates in a biannual festival of new works showcasing their talent. The program also prioritizes community. “Beyond introducing those artists to the field, I’m graduating a cohort of 15 folks who become each other’s primary collaborators,” says McNulty. Adrienne Campbell-Holt is set to direct Rebeck’s dark comedy of gender politics this fall. WP Theater has teamed up with Segal NYC Productions to present the Off-Broadway premiere of What We’re Up Against by Pulitzer Prize nomineeTheresa Rebeck (Mauritius, Seminar, NBC’s Smash). Adrienne Campbell-Holt (Dry Land, Empathitrax) will direct a cast lead by Teen Choice Award winner Skylar Astin (Pitch Perfect, Spring Awakening), Jim Parrack (True Blood, Of Mice and Men), and Krysta Rodriguez (Spring Awakening, Trial & Error, Quantico). The four-week limited engagement will kick off October 28, with an opening night set for November 8. The play will run through November 26 at WP Theater (2162 Broadway). Further casting will be announced at a later date. The production will feature scenic design by Drama Desk Award nominee Narelle Sissons (All My Sons, How I Learned to Drive), costume design by Lortel Award nominee Tilly Grimes (Small Mouth Sounds), lighting design by Grant Yeager (Now. Here. This), and sound design by Lortel Award winner M.L. Dogg (Oh, Hello on Broadway; Here Lies Love). Casting is by Kelly Gillespie, C.S.A. Tickets for What We’re Up Against are now on sale via WPTheater.org/tickets, or by calling (212) 765-1706. We’re so pleased to support the work of this influential human! Congratulations on Your Tony Wins! Congratulations to two members of the WP creative family for their big Tony wins last night! Rebecca Taichman (Best Direction of a Play, Indecent) and Mimi Lien (Best Scenic Design of a Musical, The Great Comet of 1812). These rock stars previously collaborated on WP’s 2011 Milk Like Sugar, a co-production with Playwrights Horizons, by Kirsten Greenidge, and we couldn’t be any prouder. While we celebrate, let’s take a moment to note that, of the 73 people credited as writers on shows currently on Broadway, only 7 of those artists are women. Shout out to those seven women on making art for change on the Great White Way, but there is still a long way to go. Let’s celebrate these powerful ladies, and don’t forget to join us in our upcoming season to make some noise for women in theater! Listen to what more Debra, one of two honorees, had to say about the importance of storytelling at the 2017 Gala held on March 27th. 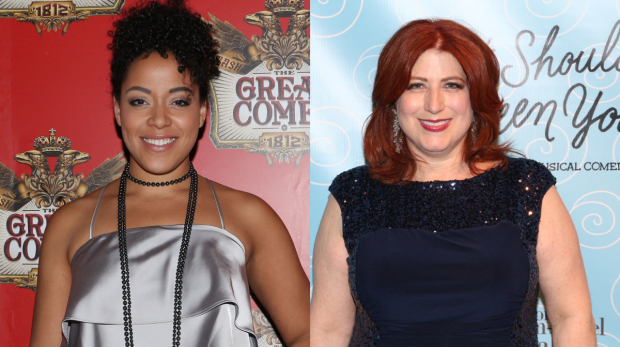 Playbill News: Cast Announced for “Sundown, Yellow Moon”! The world premiere of the night-time play with songs, SUNDOWN, YELLOW MOON casting and creative teams have been announced on Playbill! You don’t want to miss the real, honest, funny and sad play about seeing old faces with new eyes, and the liminal space between loss and letting go. “The cast includes Eboni Booth (Revolt. She Said. Revolt Again. ), Lilli Cooper (The Spongebob Musical), Peter Friedman (Synecdoche, New York; The Savages), Greg Keller (Our Mother’s Brief Affair), Anne L. Nathan (It Shoulda Been You), Michael Pemberton (Veep), and JD Taylor….” Click here for more information! GET TO KNOW WP THEATER! WATCH WP’s new institutional video and JOIN US in 2016-17! Learn more about the new season here and click the below to become a 2016-17 Season Subscriber. Please call 212-765-1706 or e-mail subscriptions@womensproject.org for more information. WP Theater’s 2016 fiscal year ends at 11:59pm TODAY! For your listening pleasure, Team WP Theater put together a sing along, snap your fingers, swaying playlist of classic holiday songs. Click above, listen, and enjoy the holiday season and new year with these tunes by your side. 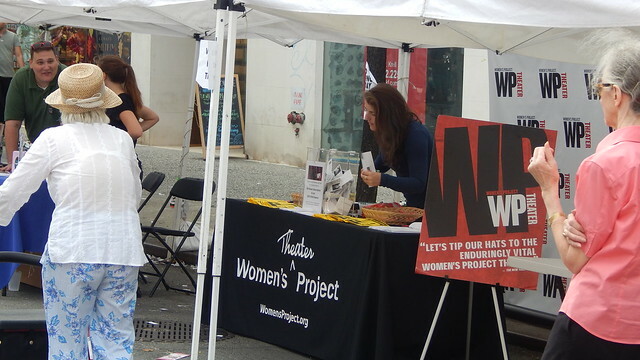 WP Theater at Theatermania’s BLOCK PARTY! Check out pictures from yesterday’s fun-filled TheaterMania BLOCK PARTY on 3rd Avenue. WP Theater, Lincoln Center, Signature Theater, Playwrights Horizons, Roundabout Theatre Company, and many more joined the festivities!